Since 2011, Nina Radman has been keeping her readers up to date on what she likes. At the beginning, the blog Berries & Passion was only a playground for the beautiful things in life, but today it is one of the most successful blogs in Austria. And Nina? She is a traditional Viennese girl and writes about her life and her travels – also outside of the capital. Nina Radman is in her late 20s, Viennese with body and soul, and a blogger. As Berries & Passion she explores the whole world and her homeland, to tell her readers about her experiences, everyday stories and simply, what makes her happy. Nina tells such great stories and takes such nice photos that she has in recent years become one of the biggest lifestyle bloggers in Austria and has now made her hobby into her career. With her dog Tobi on the leash, she loves to try anything new. At some point in 2011, she began to collect both her thoughts and the finer things in life and get creative. A lot has happened since then. Scrolling through her website, you discover a wide range of topics from fashion, food and travel, to lots of sport. In Vienna, sports fanatic Nina goes cycling almost every day or running with her dog Tobi through the parks and her readers love following along digitally in Nina’s everyday life. On Instagram, the attractive blogger has now just under 100,000 followers. As a true Viennese, Nina loves the big city. However, because she is an absolute nature-freak and looks to nature to find her balance, she takes every opportunity to flee the city. What do I find great about holidays in SalzburgerLand? It’s not long until you get to your destination. And it’s so diverse, from green hills and majestic mountains, to deep blue lakes and crystal clear mountain lakes, it has everything. You can go hiking, enjoy time in nature or simply go swimming. Everything is possible! Nature has an important place for Nina. As a blogger, she is online almost around the clock. That means “switching off” is very difficult. 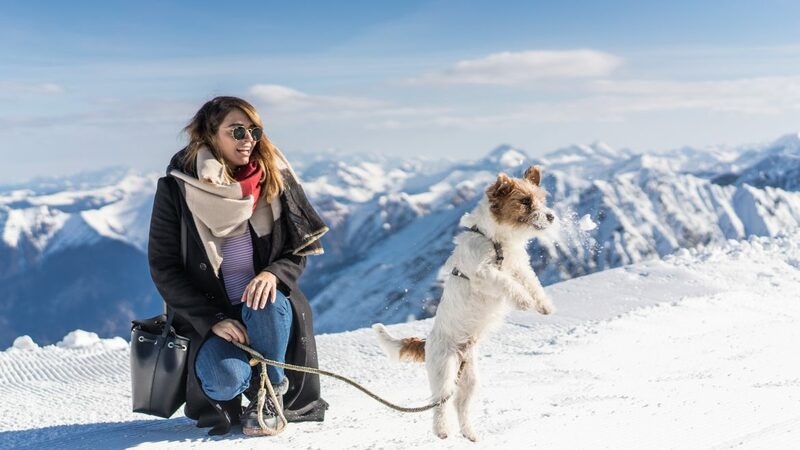 Her dog Tobi has helped a little with this: “He compels me to get away from the desk and go out, mostly in the forest or on a mountain”, Nina laughs. 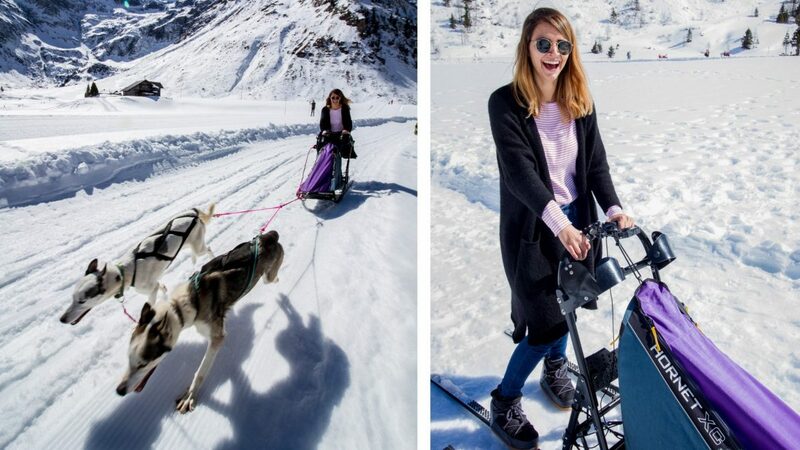 Aside from a walk past its historic hotels and monuments, Nina also explored the valley and peaks over three sunny winter days, raced with Huskies through snow trails and flew across Gastein with the Flying Fox. 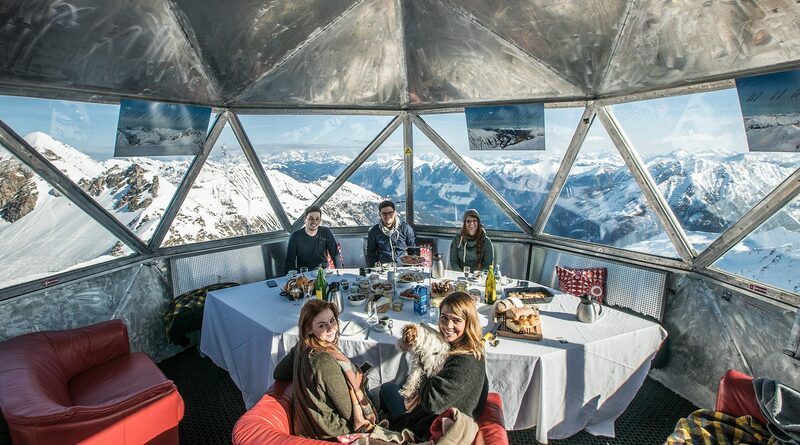 A further highlight was also the 360° summit breakfast on the Kreuzkogel Mountain in a former weather station, which reminded her of a trip through space. As you can easily see, Tobi and I had a wonderful time in the Gastein Valley. Here, you can really let yourself go and above all do many different things, depending on what you really want to do. I know for sure that it will not be my last visit, because I really liked it a lot. Nina sparkles with curiosity, whether it’s swinging across a gorge on the Flying Fox or on a dog-sled ride – she will not get bored. Does she sees it that way herself? Nina, would you describe yourself rather as a still or sparkling type? It completely depends on my mood. But spontaneously I’d say sparkling – I’m more of the alert type that likes to experience adventures and can never sit still. Flying Fox and Husky-sledding. That is exactly my taste. 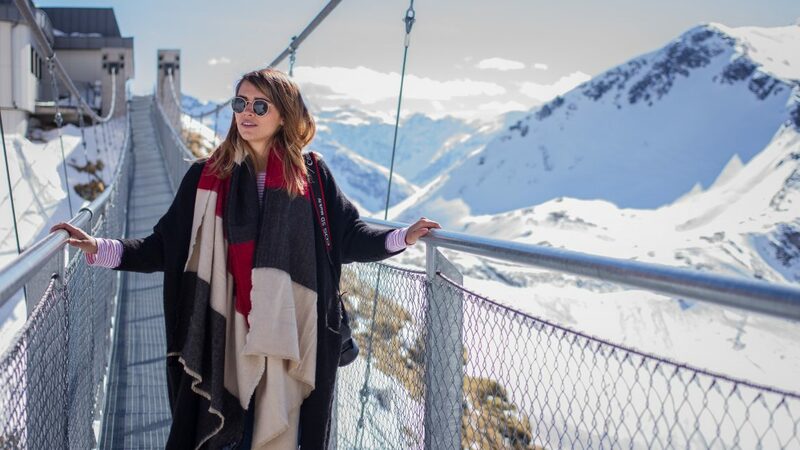 … and that’s why Nina went again in summer to the beautiful Gastein Valley, to see what the region has to offer in the warmer months. This time the blogger enjoyed the fresh air in the thermal springs and in the Stone Pine forest, fed squirrels and discovered the beautiful panoramas on the Rudolfshöhe. Nina got a special adrenaline kick on the “Hirschinger” Via Ferrata, which she brilliantly mastered. 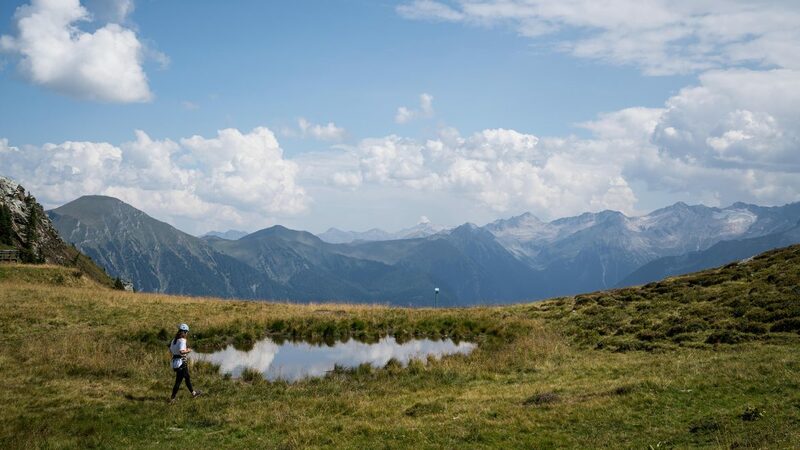 And also for her dog Tobi, the Gastein Valley in summer had some exciting hiking trails to make any dog’s heart beat faster. The Gasteiner Ache instead of the Danube. The Kreuzogel instead of the Prater. And a mountain instead of the Viennese basin. 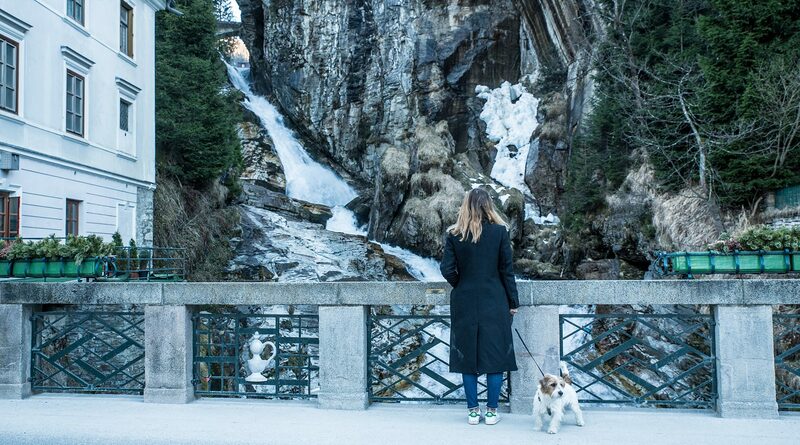 The blogger, Nina Radman exchanges her home of Vienna for the Gastein Valley for a few days and takes us along on her journey of discovery. Bad Gastein, it seems, has fallen a little out of time. Nina made her way on a wintry walk through Imperial Nostalgia. Good food makes travelling twice as much fun. 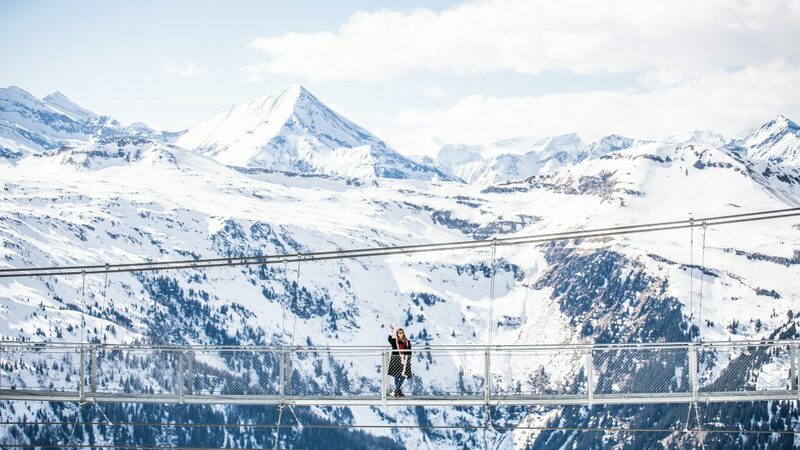 Blogger Nina Radman explored the places in the Gastein Valley where you can best satisfy your hunger. 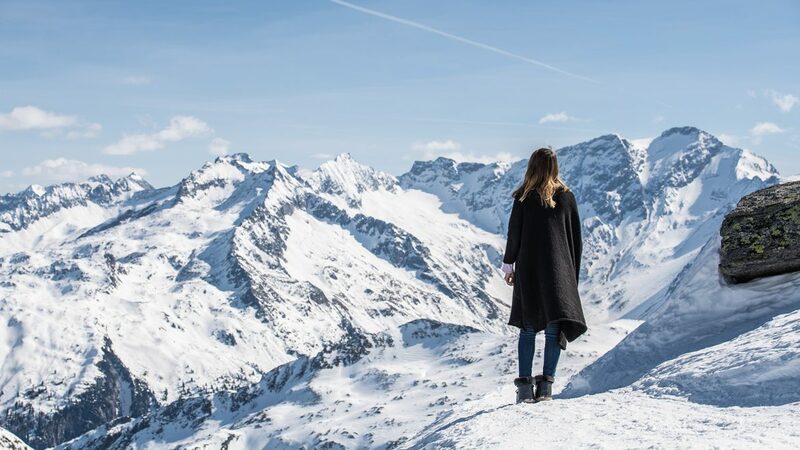 The blogger Nina Radman, who online is Berries & Passion, experienced the ups and downs, the mountains and the valley, on her second trip to the Gastein Valley. Blogger Nina Radman, a.k.a. Berries & Passion, was on the go for twelve hours in the Gastein Nature. Nina's dog Tobi was really happy in the Gastein Valley - lots of nature and dog-friendly hotels are waiting there for four-legged friends.